The International Cinema Technology Association is a global network of professionals in the motion picture industry. Members of the ICTA are those companies that manufacture, service and create equipment and technological solutions for movie theatres. Our members are on the cutting edge of new technologies and have been the driving force in digital cinema, 3D, immersive sound systems, high frame rates and lasers. The ICTA promotes technological advancements in the motion picture industry through educational seminars and programs. To find out more about the ICTA and apply for membership visit www.icta-web.com. 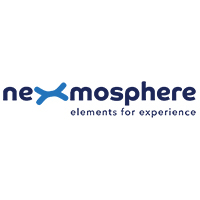 Nexmosphere develops products that enable a rich and intuitive shopping experience. Combining all our elements such as light, touch, audio, pickup & presence sensors with will change the way we shop. The versatile collection of elements offers flexibility to create unique shopper experiences that are cost-efficient to implement on a broad scale. Connect any of our sensors on USB or Serial to your media player (such as BrightSign, windows or android) and have full control with the API. We call it plug and smile!